December 15th of 2018 was a rainy day at the River Road and the Jasmine House but when it was time for Jason and Lauren’s wedding to begin the sky cleared and the birds sang. Jason and Lauren’s story started with the growing trend of them both swiping right on tinder. They had their first date at San Jose and it was love at first sight and they’ve been together for almost four years now!! When choosing their wedding venue they just loved that the River Road and the Jasmine House was so relaxed and a more intimate space. 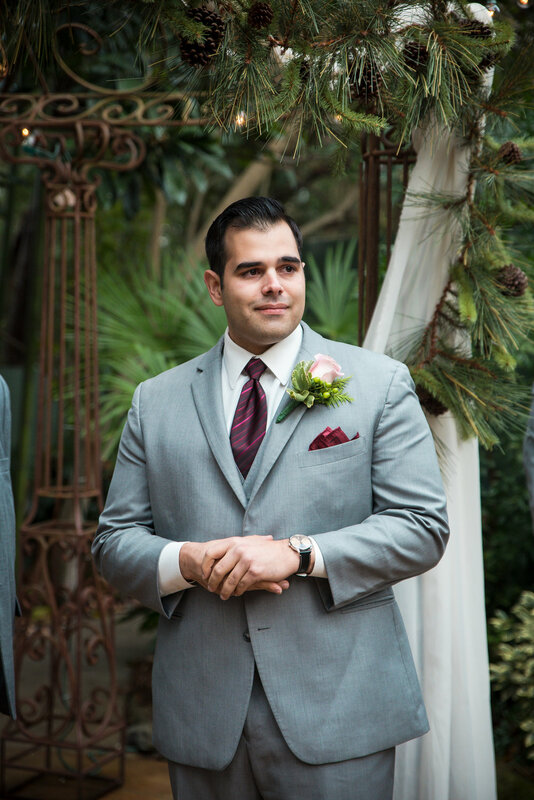 They loved the vintage buildings and landscaping and felt like the venue best matched their own personal style. They are both passionate people who look forward to the exchange of wedding vows the most on their wedding day. What a wonderful day it was for Cody and Chynna’s wedding on November, 10th. The sun was shinning, it wasn’t too hot and everyone was in great spirits. Cody and Chynna met in middle school and knew each other through out high school. They had home room together in 7th grade in the gym. Cody was very shy to talk to Chynna but finally got some words out of him to go ice skating where they had their first kiss. They reconnected in 2014-2015 when Cody was deployed and Chynna saw a photo of him smoking a cigarette next to a camel and thought he was so cute. So one thing led to another…. and they’ve been together for 5 years. Cody proposed at Crowder Mountain on the peak. He had been so nervous to do it in front of other people so they went way off to a far ledge where Cody proposed with his dad’s and stepmom’s rings they had melted together. I asked Chynna what is one word that describes both of them and she answered with “Perseverance”. The venue they choose, Cobblestone Golf Course, was a very unexpected location with a beautiful view! They have wonderful pricing so go check them out!! 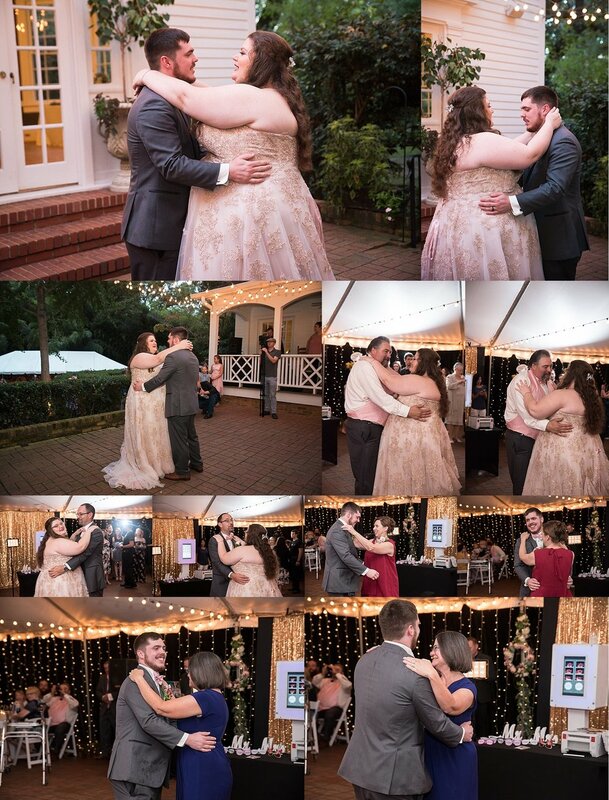 They both looked forward to the food and dancing on their wedding day and Cody couldn’t wait to see her walk down the aisle towards him! They chose a different venue then the one they had now. Unfortunately due to some unexpected events they had to choose a different venue. 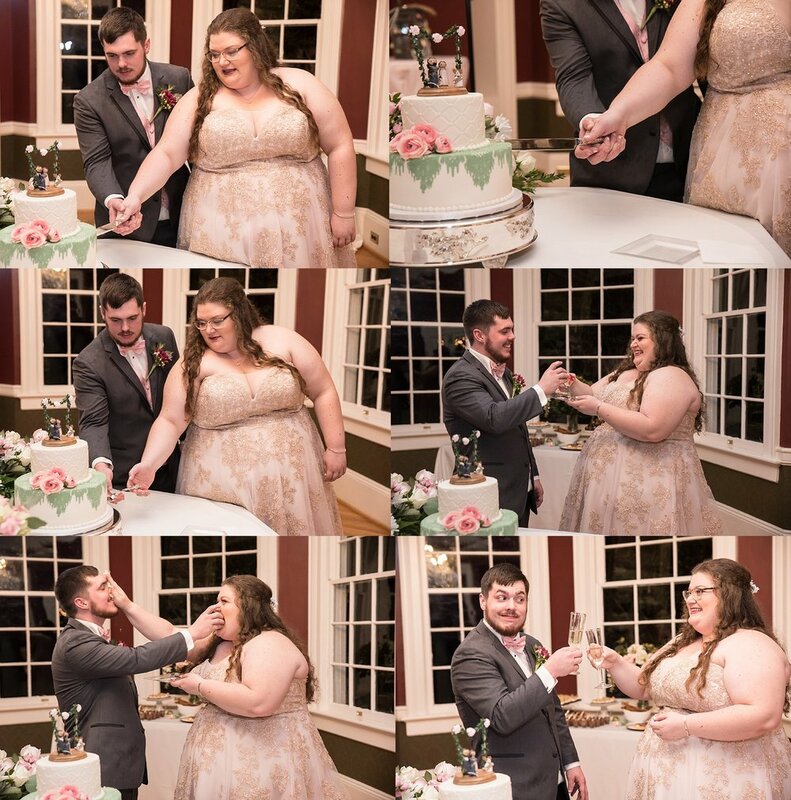 As you can imagine, she was extremely distraught and frantic trying to find a beautiful space to host their reception within a reasonable price range. They recently moved to the Chapin area and found their venue while driving by. Nicole decided to reach out to the owner and schedule a tour with her sister-in-law. They were both blown away by how accommodating the owner was and how beautiful the space was. 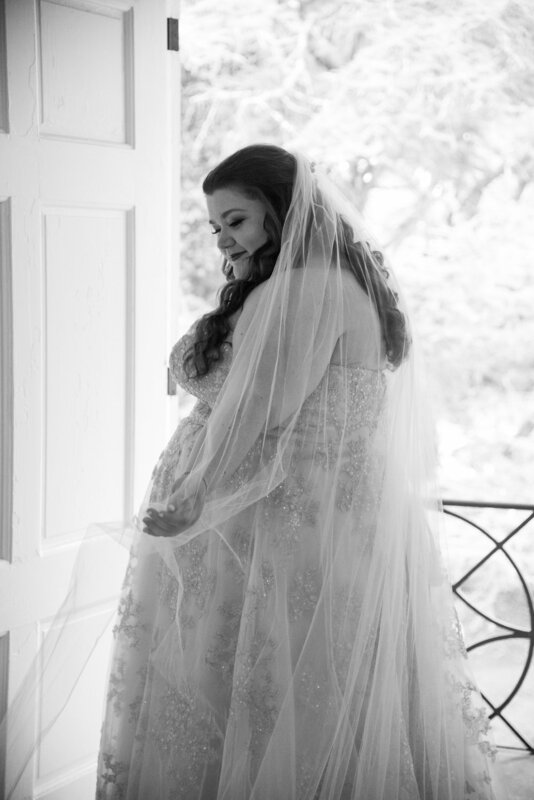 It was perfect for their wedding and Nicole felt like God had answered her prayers when he sent her to The Venue of Chapin. 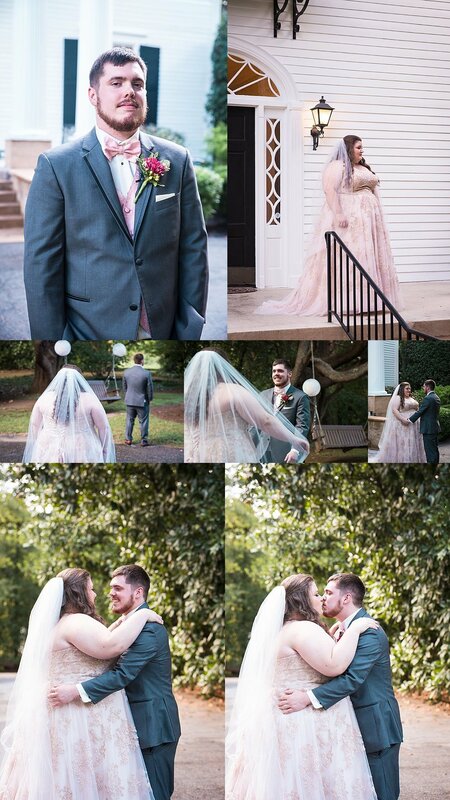 Venue: Duncan Estates in Spartanburg, S.C.
They’ve been together since 2011, Harley’s junior year of high school and they are closer than ever! Harley wanted something vintage, romantic with an outdoor space and fell in love with Duncan Estates as soon as she saw it. She was excited to be able to make the venue her own. They are both beyond excited to have all of their family and friends together. Most of Harley’s family is coming from 12 hours away and Brandon’s is coming about 3 hours away. But most of all, they are both ready to finally marry their best friend! !